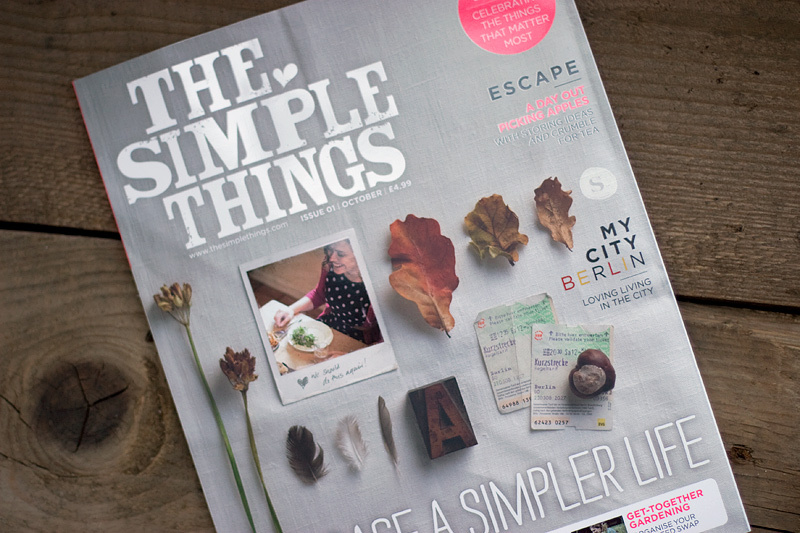 There is a new magazine out in the UK - The Simple Things. 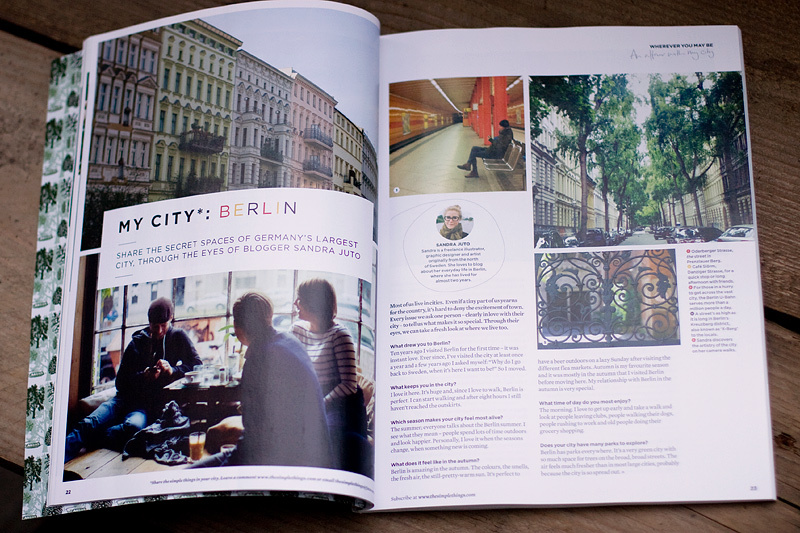 In the first issue I did a 2 spread article/interview about Berlin and here it is in print, such a good collaboration. Beautiful! I wish we had access to that in the US! I was pretty thrilled to find this magazine in a grocery store here in Finland too! I have to read your article now. Yay, Sandra, congratulations. Perfect. Olé, Olé. What a shame I can't buy it here. It looks lovely! I found out about this magazine through Susannah Conway as she has an article in that issue. I bought it online and had it sent to Australia. I was very excited to see that there was an article about my favourite city in the world, and double excited to see that it was by you. I used to read your old blog but seemed to get lost on my was to the new one. Lovely photos and great words.